Over the next 6-8 weeks, we, at Tastes of Idaho, generate over half of our yearly sales. With the volume of sales over a short period of time leaves no room for error or unpreparedness. Most product based business — and retail outlets — are facing the same challenges during the holiday season. I have posted numerous articles and tips over the years on getting ready for holiday sales. Listed below are the best articles. Hopefully, they help you have smoother holidays sales! With the Christmas holiday right around the corner, it is time to start thinking about developing and/or setting up a clean efficient shipping system. When the rush hits (which is usually right after Thanksgiving), you may be too busy to figure out what you could have done to make the process easier or at least more efficient. At least, in our case, I know this to be true! Last week, we talked about Tips for Making Your Web Customers Welcome using email provider services such as MailChimp or AWeber. 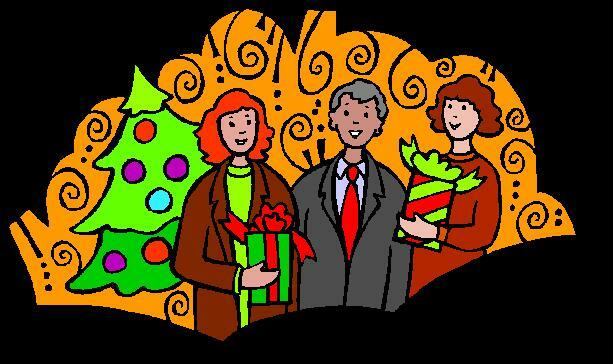 Today I would like to share specific tips on holiday marketing. Do not think holiday marketing is a plan to put off for another two months as lots of planning and preparation go into a success campaign for the holiday buying season. The official Christmas holiday season starts in just a few weeks! Are you ready? Most of us will do the largest percentage of our business in the next 4-6 weeks. NOW is the time to prepare for the onrush of orders. And the best way to prepare is to have a system in place BEFORE the orders pour in. Emails and periodic newsletters are a great way to keep in touch with your customers to share new products, specials, shows you are attending etc. During the coming holidays, a special holiday newsletter may make or break your sales goals for the year. I don’t know about you, but beyond shipping holiday retail orders each day, I don’t have much energy to do anything for the rest of the day! At the end of the day, I don’t even want to answer my phone because I know it is probably one more order from someone who doesn’t want to order via the website! 4th quarter is the time of year where most of us are extra busy, rushing to get orders out the door! As a producer, I understand the rush of the holiday season! To save time during the busies weeks, we take an inventory of all our products, supplies and shipping materials in September. The last thing we want to do is realize that we are out of packing material or shipping boxes in the middle of the rush! So, are you ready for holiday sales? I have taken 2 steps forward but also one step back. Will keep plugging!